When I first became sick I was scared......very scared. I was in pain, confused, constantly sick, exhausted, and during all this, I had to try to balance a work and school. I was going down, and fast. If it had not been for the support of friends and family, I am not sure how I could have gotten through such a dark time. A special thank you to my mom! She helped me through everything and continues to be a constant beam of support. Thank you mom, you have taught me what a true caring person is. THANK YOU! This will be differnt for everyone. You may even have to remove some people or you may reconnect with old friends. When you have RA it may be hard for people to understand. I know some days when I have a flare up, I may look like I am just being lazy. On the outside I look fine, but pain is consuming my whole body. During this time you need compassion. Be sure to find people who will try to understand and help you where help is needed. Now, be careful here. You do not want to become helpless or a victim. It is a delicate balance of being the care taker and the cared for. Just make sure that you know your limits. Do not leave someone feeling as if they are always taking care of you, but never being taken care of themselves. I catch myself being helpless on occasion. I will let my boyfriend carry things I can carry, or do chores I can be doing. As soon as I notice I correct it immediately and do something nice for him. 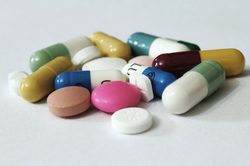 We all know how expensive it can be to cover the costs of prescriptions and supplements. If you look, there is some help out there. First ask your doctor if there is any help through the manufacturer of the drug you are taking. If not try your pharmacy, drug companies, state and county for assistance. Below is a link for Illinois residents, but if you know of any other states please let me know so we may share with others. No one should have to worry about getting the medicine they need to feel better!